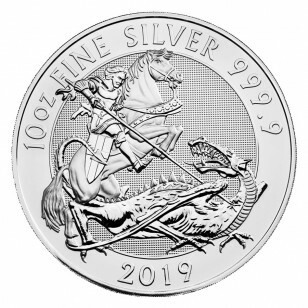 To celebrate the timeless tale of St George and the dragon, the Royal Mint has recently released a new 10 oz silver coin featuring legend St George slaying a dragon. Previous variants of this coin proved to be extremely popular among coin collectors. Born in the third century AD, St George was a Roman soldier who was condemned to death by the Roman Emperor Diocletian for refusing to give up his Christian faith. Because of his courage, he has become a highly regarded hero figure and a symbol of courage and strength. By the thirteenth century, St George the Dragon Slayer was being portrayed with the red cross of the crusader. He symbolizes the victory of good over evil and became one of medieval Europe’s greatest legends. By 1348 St George had become such a symbolic figure in England that Edward III made him the nation’s patron saint. 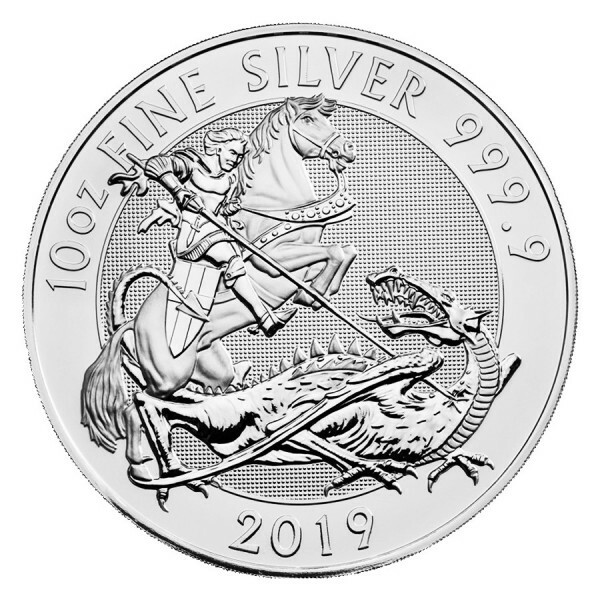 The reverse side of the new coin features St. George riding a horse and slaying a dragon. It depicts the timeless tale that the English Saint came across a town where people used to offer human sacrifices to a dragon. He took it upon himself to rescue the town, and slay the beast. St. George rescued a princess offered to the beast as a human sacrifice. Designed by artist Etienne Milner, the reverse also shows the fineness, and issue year. The obverse displays an effigy of Her Majesty Queen Elizabeth II, Jody Clark. It also shows the denomination of the coin. 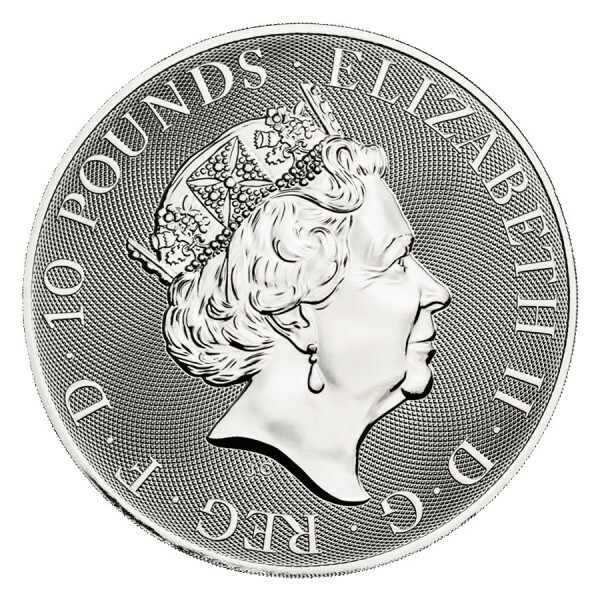 The new coin is struck in 9999 fine Silver. It comes in a protective plastic capsule. Order this coin from the European Mint NOW! Comes in protective plastic capsule.Note: When ordering this coin, your entire order will be delayed 3-4 weeks.